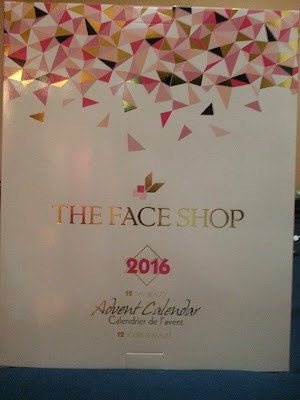 Here we are with part 2 of my advent calendar unboxing from TheFaceShop! You can see part 1 here! The first four days brought about a $20 value, so lets see what the next four bring! Moisturizing eye cream with soothing Calendula Extract delivers skin comforting moisture to the sensitive skin around the eyes. 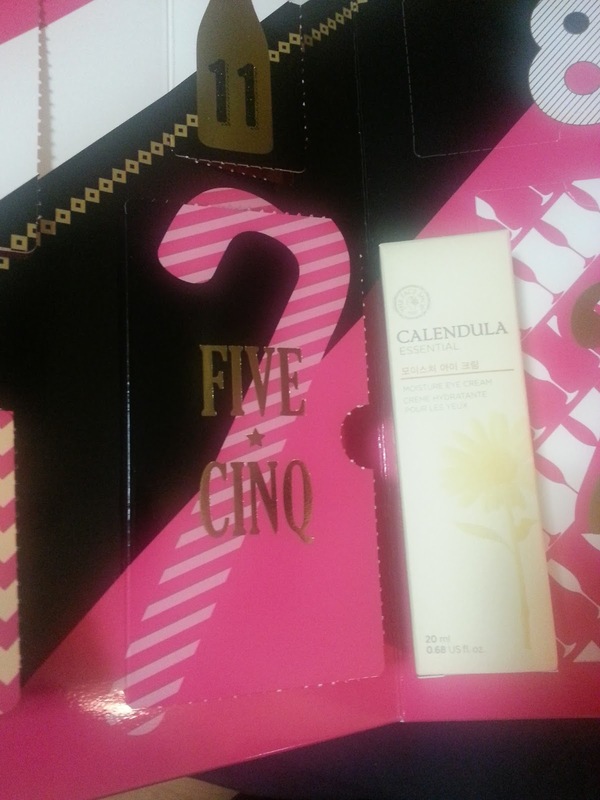 I don't really need more eye cream at the moment, but it's always good to try something new because you might find something you really like. Plus this is full size and sounds like it will be really moisturizing. 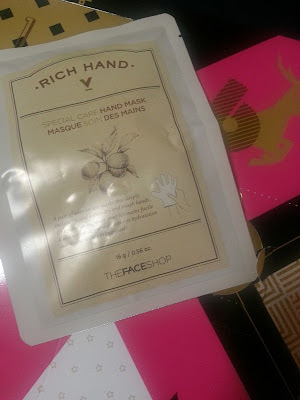 These Rich Hand V masks give your hands a second life by making them silky soft in no time! Treat yourself with a relaxing moment as these cotton gloves, soaked in rich serum, hydrate and nourish your hands' dry skin. 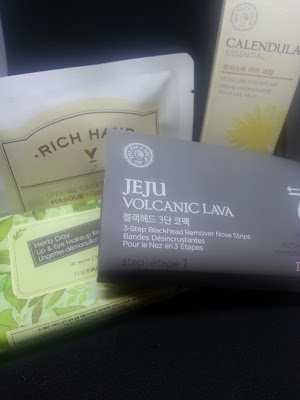 I've also never tried a hand mask, so this will be interesting! What a good time to receive something like this! I put the value of these at ~$7 because I can't find a package of 30 on their website. They sell a 20 pack for $5, and a pack of 70 for $10.. so $7 sounded about average. 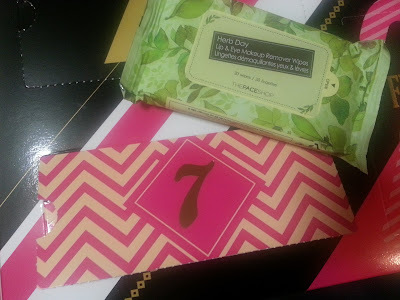 I've never tried makeup remover wipes from TheFaceShop before, so I'm excited to try these too. These are great for travelling or swatches. 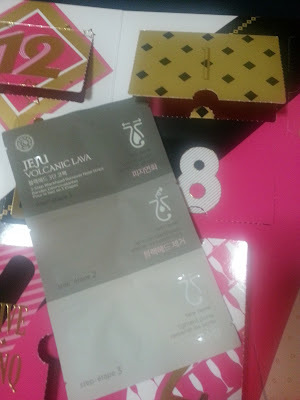 I've never tried TheFaceShop blackhead remover strips before... I know I keep saying that about a lot of these products. 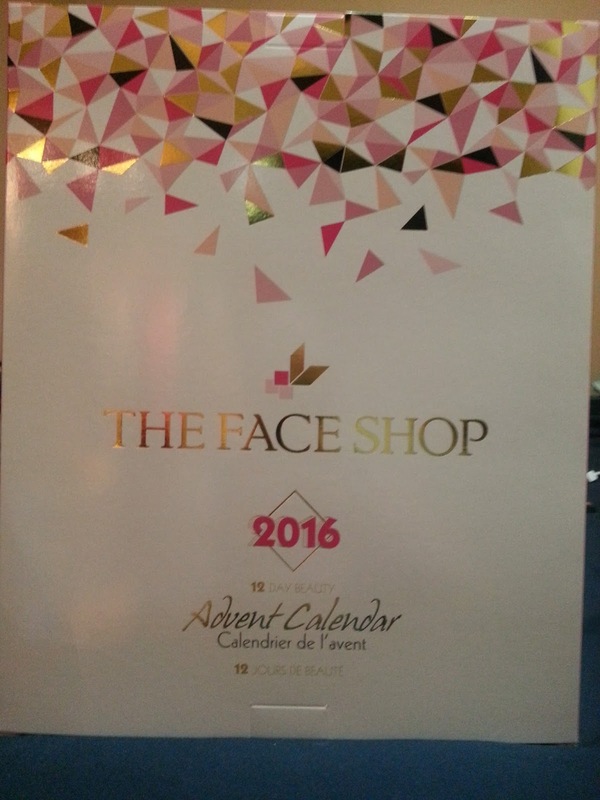 This calendar is a great way to try new items. I assume this will be like a biore strip, but a little less harsh! I would say that days 4 - 8 had a value of about $30. So far we are at about $50 worth of products!